We unearth 50 facts you didn't know about the Compton rapper turned billionaire entrepreneur. 1. Dr Dre has six children, four sons and two daughters, by five different women. He had a son called Curtis Young, followed by a daughter called La Tanya Danielle Young, then a son called Andre Young Jr (who has since died). With singer Michel'le he had son Marcel and finally with his current wife Nicole he's had two more children, Trucie and Truly. 2. Dr Dre fathered his oldest son when he was just 16, but he didn't meet him for 20 years. 3. In 2008, Dr. Dre's 20-year-old son, Andre Young Jr., died of a drug overdose. Dre's third child, who he had with a woman called Jenita Porter, was found dead at Dre's family home from an accidental overdose of heroin and morphine. 4. Two of Dr Dre's brothers have passed away. When he was just one-year-old Dr Dre's brother Jerome passed away from pneumonia. He also lost half brother Tyree, who he dedicated the last song on 'Chronic 2001' 'The Message' to. 5. Dr Dre didn't know Eminem was white when he decided to work with him. Eminem made no secret of the difficulty he felt he faced being a white man trying to make it in black-dominated industry, but he managed to get signed by Dre and go on to become one of the world's best rappers. In a past interview with Vibe Magazine, Dre revealed: "when I heard Em for the first time, I didn't even know he was White. I just knew I wanted to work with him. And that kind of actually made it better for me, because it was so different". 6. Has Dr Dre found the next Eminem? 7. In 2014, Dr Dre earned approximately $20 per second. 8. World Class Wreckin' Cru' were originally called Disco Conjunction. Before he was in N.W.A, Dre was in a group called World Class Wreckin' Cru, which was originally called Disco Construction. It was an electronic funk group consisting of members (from left to right) Dr Dre, DJ Yella, Cli-N-Tel and Lonzo - who set the band up . They premiered in a Compton club owned by Lonzo (Alonzo Williams) called Eve After Dark. 9. Dr Dre's career with Eazy E really begun after Eazy bailed Dre out of jail. Dre was arrested and thrown in jail after his Mazda RX7 was impounded for compounding car fines of over $900. Eazy-E paid out in return for Dre’s production trade for E’s new record company 'Ruthless Records'. The more time Dre spent with E, the more disruption caused to 'World Class Wreckin' Crew,' but N.W.A was born as a result. 10. Warren G is Dr. Dre's step brother. 11. Dr Dre and Snoop Dogg starred in a film called 'The Wash' back in 2001. Judging by the IMDB decription, we can't say we're too shocked that it received only two stars: 'With the rent due and his car booted, Sean (Dr. Dre) has to come up with some ends...and fast. When his best buddy and roommate Dee Loc (Snoop Dogg), suggests that Sean get a job busting suds down at the local car wash. Comic tensions flare between the two...' you get the idea. 12. In 2011, Dre said he wanted Beats to be "second to Apple." "We’re gonna keep new and exciting products coming" he told Fader. "We’re trying to eventually be second to Apple. And I don’t think that’s a bad position." Three years later, Beats was bought by Apple. 14. Word is that Dr Dre used men and baseball bats to get out of his contract with Ruthless Records. Ice Cube was the first to leave N.W.A and Ruthless Records because of financial disputes, not long after Dre realised he too was getting the bum end of the deal, but he was stuck in a contract. Band member Jerry Heller says that to get out of it, Suge Knight (The D.O.C) showec up with some guys and weapons demanding Dre was dropped from the contract, which he was. 15. Dr Dre earned $52 million in 2001. 16. 'The Adventures Of Grandmaster Flash On The Wheels Of Steel' inspired Dre to get into music. Dre was inspired to get into music when he heard Grandmaster Flash song 'The Adventures Of Grandmaster Flash On The Wheels Of Steel.' He told Vibe; "That made me want to DJ. It made me want to know what hip-hop was. That was the song that did it. I immediately went home and called some friends and we were taking apart one of my friend's mother's stereo sets.. We figured out how to make a mixer from the balance button and got it cracking—started making mixtapes." 17. TLC awarded Dr Dre the 'Best Rap Artist' award at the 94' AMAs. 18. 59% of high end headphones sold in the US bear the Beats logo. The world has been waiting a long time for Dr Dre's next studio album 'Detox', and it looks like it will be waiting forever, as Aftermath producer Dawaun Parker has revealed that Dre scrapped the titled 'Detox' a long time ago. "The album he's working with is not called 'Detox', he [Dre] scrapped the titled a couple of years ago and came up with another title" Parker told Shots Fired. "I won't say what the title is cause I haven't seen that online or anything yet'. 20. Dr Dre's real name is Andre Romell Young. Dre is a nickname that originated from his real name, Andre. 21. Dr Dre sued Death Row Records for a reported $3 million. 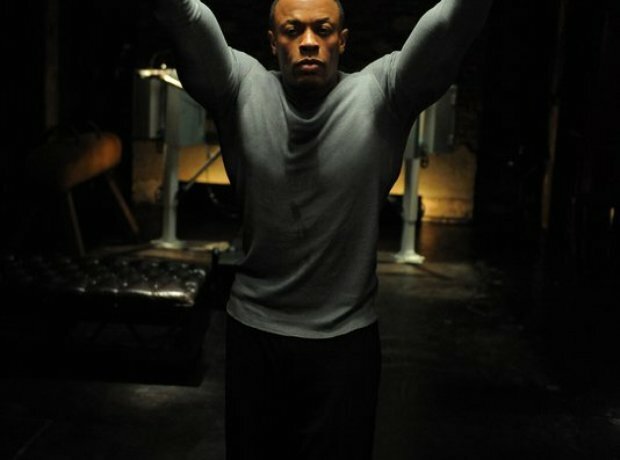 Dre took Death row to court last year after claiming the owed him royalties for his production, album sales and digital sales. Dre lost the case due to a lack of proof of contracts. 22. Jimmy Iovine once detailed how Beats came about. 23. 'The Chronic' has been re-released three times. 24. Diddy listened to Game's mixtape five months before Dr Dre ended up snapping him up. 25. A film about Dr Dre's career beginnings called 'Straight Outta Compton' is out now. The new film documents Ice Cube, Dr Dre, Eazy E, MC Ren and DJ Yella's beginnings in the industry, rise to success and of course, their Compton roots. The film premieres this August in the USA. 26. Dr Dre’s middle name, 'Romelle,' came from his father’s r&b singing group, The Romelles. 27. Dr Dre has made more money making Beats headphones than he ever did making music. 28. Believe it or not, The Chronic isn't Dr Dre's biggest selling album. His follow-up album, 2001, was a bigger hit - becoming certified sextuple Platinum. That's a lot of copies. Dr DreIt came it at number 138 on The Rolling Stone's list of the 500 greatest albums of all time, and also placed in the top 100 albums of the 90's. 30. Dr. Dre's 'Nuthin' But a G Thang' samples a Leon Haywood song. The straight up funk of 'Nuthin' But A G Thang', form Dre's 1992 album 'The Chronic', is actually a sample of the Leon Haywood record 'I Want To Do Something Freaky To You'. Don't believe us? Go check it out. 31. NWA's debut album 'Straight Outta Compton' cost only $12,000 to make. Ruthless Records co-founder Jerry Heller claims that the first money invested into Ruthless Records was his own $250,000, and that Straight Outta Compton was only recorded for $12,000. 33. Dre made history by creating the largest gap ever between the first and second top earners. 34. Dr Dre is the inspiration behind Eminem shouting on songs. 35. Dr Dre and Jimmy Lovine donated $70 million to make a new Academy for Arts. In May 2013 Dr Dre and his Beats co-founder Jimmy Iovine donated $70 million to the University of Southern California to create the USC Jimmy Iovine and Andre Young Academy for Arts, Technology and the Business of Innovation. 36. Kanye West measures his own music against 'The Chronic'. Yeezy has been quoted as saying: 'The Chronic' is still the hip-hop equivalent to Stevie Wonder's 'Songs in the Key of Life'. It's the benchmark you measure your album against if you're serious." 37. Dr. Dre apparently received no royalties when he left Death Row Records. Dre owned 50% of the label, so was entitled to some money when the two co-founders went their separate ways, but he reportedly left without taking a penny. "You can’t put a price on a peaceful state of mind" he was quoted as saying. 38. 'Nuthin But A G Thang' sold over a million copies. 39. Tons of artists signed to Aftermath never released full length albums. In 2001, Aftermath released the soundtrack to the movie 'The Wash', it featured acts including Shaunta, Daks, Joe Beast and Toi. - all signed by Aftermath, but to this day none have released a full length album and they have all ended their relationships with the label. 40. Dr. Dre and the Neptunes are the only hip-hop producers to win Producer of the Year at the Grammys. 41. Dre is the CEO of Aftermath Entertainment. 42. 'California Love' was suppose to be Dr Dre's single, not Tupac's. Word has it that when Suge Knight heard it he got Tupac involved on the second verse and ultimately made the late rapper the lead on the track. 43. Dr Dre has won 6 Grammy awards. 44. Snoop Dogg refused to make music for Death Row Records after Dr Dre left. When Dr Dre left Death Row Records, Snoop realised the company would own anything he made until his contract expired, so Snoop refused to produce any more records until that day came. He played a weapons dealer called Black Sam alongside Jada Pinkett and Queen Latifah in the film. 47. Kendrick Lamar was on the set of Dr Dre and Snoop Dogg's 'California Love' video. Perhaps Lamar got his taste for hip-hop and interest of Tupac after the video for the rapper's Dr Dre collaboration 'California Love' was shot near his house. 48. Actor Corey Hawkins played Dr Dre in the 'Straight Outta Compton' film. Here are the cast members with the stars they are playing. 49. Dr. Dre has been married for 20 years next year. In 1996, Dr. Dre married Nicole Threatt, the ex-wife of NBA player Sedale Threatt. They have two children together. 50. In 2014 Dr Dre purchased a new house for $40 million. Dre purchased the Los Angeles home of NFL quarterback Tom Brady and his supermodel wife, Gisele Bundchen in the spring of 2014 for a whopping $40 million.